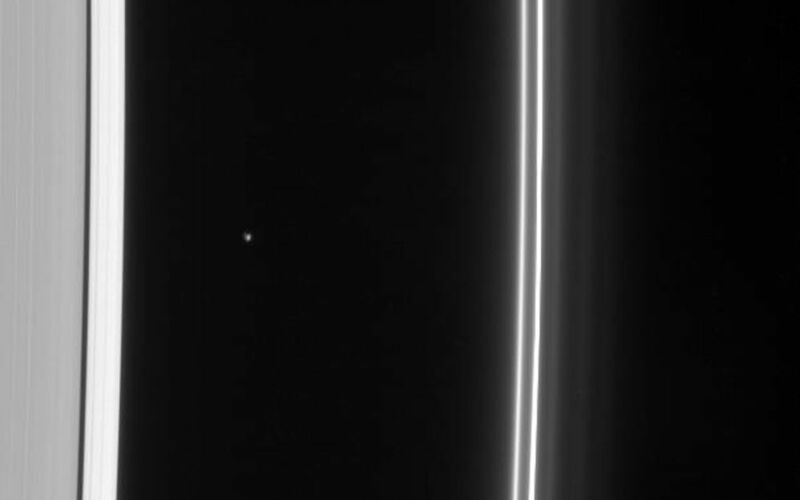 The Cassini spacecraft gazes toward the multiple strands of the ever-changing F ring, also sighting Atlas at its station just beyond the A ring edge. A few faint background stars are visible in the image. Atlas, which appears left of center, is 32 kilometers (20 miles across). 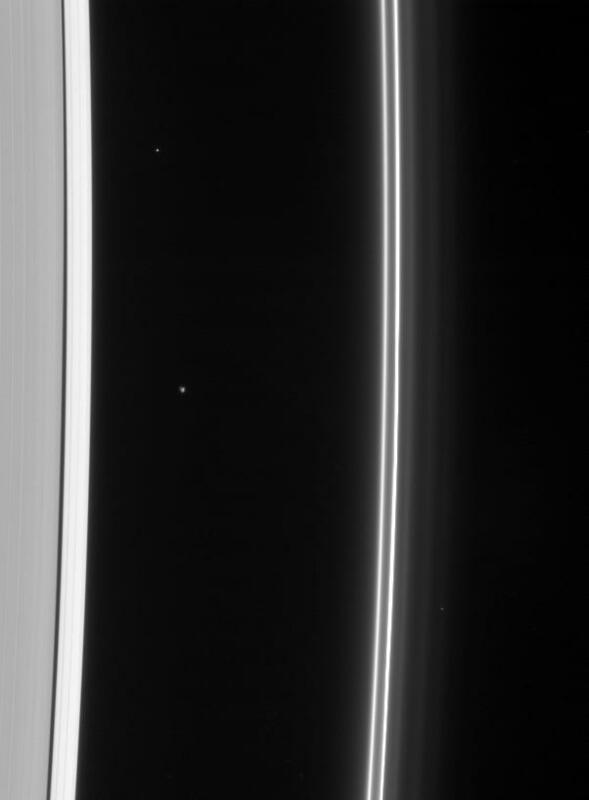 This view looks toward the unlit side of the rings from about 58 degrees above the ringplane. The image was taken in visible light with the Cassini spacecraft narrow-angle camera on Feb. 10, 2007 at a distance of approximately 1.7 million kilometers (1.1 million miles) from Atlas and at a Sun-Atlas-spacecraft, or phase, angle of 128 degrees. 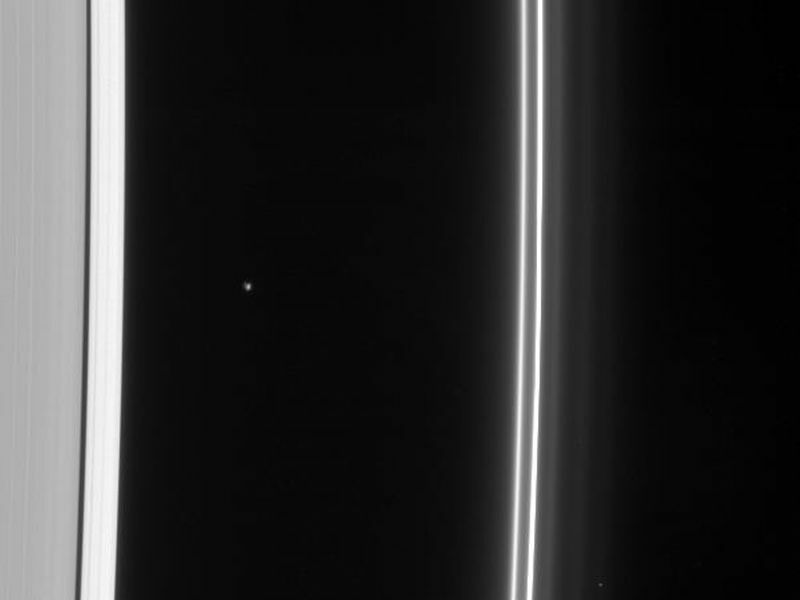 Image scale is 10 kilometers (6 miles) per pixel.